"We here at Loud Poets are excited to bring you another night of spoken word brilliance, our last before the new year (cue pantomime gasps). 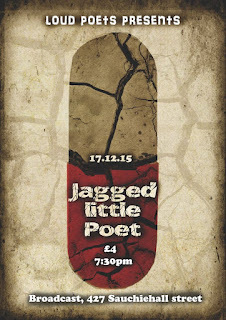 It'll be a night so good Alanis Morissette might even call it ironic! Doors 7:30, show at 8. Plus music from Glasgow band Jack and The Bird!